When I was in high school, we had a baking class and we had to bring all the necessary ingredients. We were formed into groups and assigned the different ingredients for the bread recipe. Unlike today bread machine recipes are very popular. I remember I always raised my hand to volunteer for the yeast as it was the least expensive (my mother had already bought a small can that would serve for the whole semester) and the others would bring the rest, taking turns in bringing the flour. I never understood why they didn’t just leave the whole sack of flour in the kitchen pantry. I guess it was because of the times… and the mice. Anyway, I remember we would first prepare the yeast for fermentation. That is, adding a teaspoon to a small bowl filled with about 1/4 cup of warm water, half hot and half cold, and sprinkling some sugar to aid the proofing. If the water was too hot, it would kill the yeast; and if it was too cold, it did not stimulate it leaving it flat and out. The yeast would be ready when it had already multiplied into a regular colony; it usually took about 5 minutes. If after the prescribed period nothing happened, then the baking teacher would tell us to throw it away as either the water was too hot or too cold and proceed to read the expiration date on the can of yeast that I brought. After a few trials, we had the hang of it. Yeast is the leavening agent for most bread. It is what makes the dough rise and gives it that airy texture because yeast interacts with the sugar and produces good gaseous carbon dioxide bubbles. Anyway, times are so very different now. There’s still yeast, but the preparation time has gone since the world was introduced to the Bread Machine Recipes. The first time I used one, I was sort of sad because I missed watching the yeast grow. But then I got so busy that I finally appreciated the fact that it existed. Here is an Easy Bread Machine Recipes for all my fellow busy career people. Craft on! 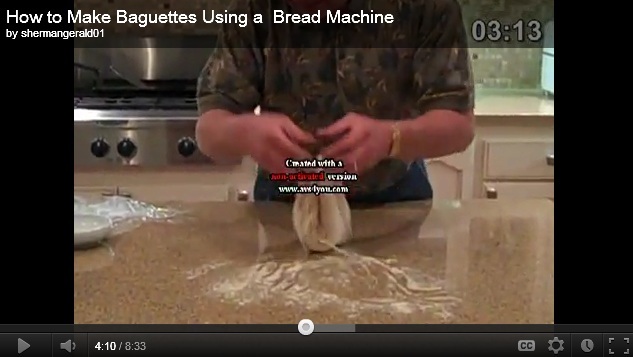 – Place the water, sugar, salt, oil, bread flour and yeast into the pan of the bread machine. – Bake on White Bread setting. – Cool on wire racks before slicing.